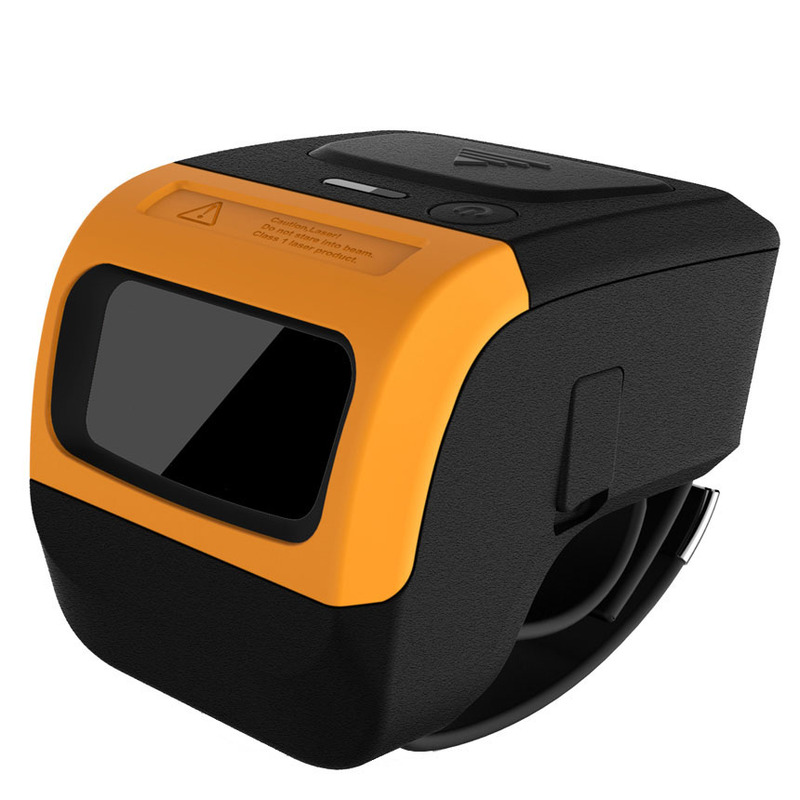 Bluetooth Ring scanner is designed for high workload of indoor applications, it helps workers to free their hands while carrying goods, to raise working efficiency, and decrease labour intensity. 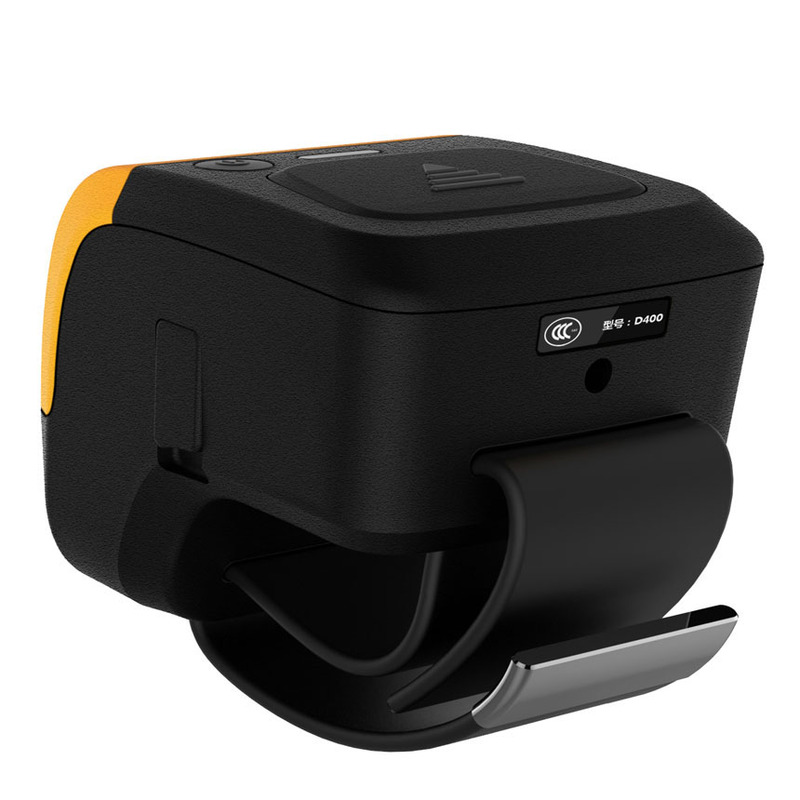 The ring scanner weighs only 48g, 39mm thickness, very portable; ergonomic and non-slip design, suitable for long-time wearing. Built-in local storage can reach up to 100,000 datas. Switching automatically to local storage when Bluetooth is disconnected, which ensures that there is no loss of data. Local data can be up loaded in real time through Bluetooth or by U flash disk. MicroUSB standard charging port, 500mAH lithium polymer battery, low-power design, can assure 8 hours continuous working. 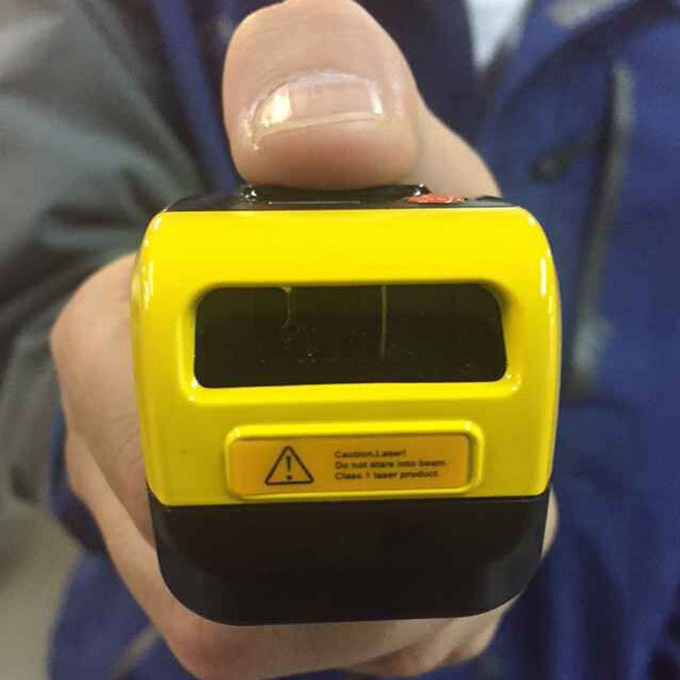 20m transmission distance free space, widely support various electronic products and operating systems. Equip with Zebra SE955 1D scan engine, adapted to high-intensity scanning applications. Bluetooth connection is fast and stable, has automatic prompt for disconnection, supports SPP/HID/BLE multiple connection modes. Notification of multiple colours LED and warning buzzer after a successful scanning, the information’s interactive commands could have good communication with the host computer through multiple indicator lights and buzzer status. 1.5m drop tested, IP64, meet the requirements of applications in multiple severe environments.